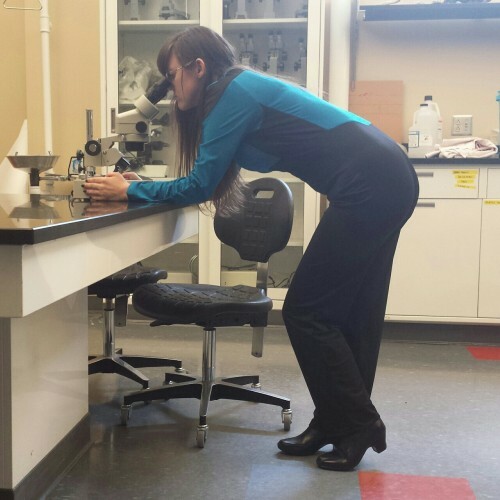 Tumblr users Slightly-Oblivvyous sews Starfleet uniforms as a hobby, and she sometimes wear them to the lab. I don't normally post cosplay, but I love this pic. There's just something so hopeful about doing real science in a uniform from a fictional series about a utopian future. "Sometimes I actually do science in my science uniform. (My professors loved it.)"